Ducts aren’t something that most people think about very often. 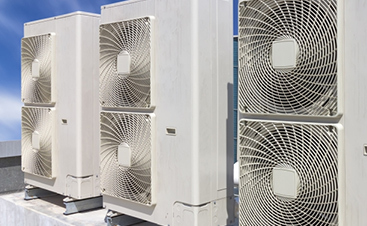 But the initial ductwork design that is done in a building, whether a home, office, or warehouse, can affect the efficiency and cost of an HVAC unit as long as the building is standing. As simple as the principle might seem — moving air from one place to another — there’s a lot that goes into HVAC duct design. Proper design can make sure you get the most out of your system. Let’s take a look at why it’s so important and what can go wrong. Why Do We Need Ductwork? It might sound like a basic question, but it’s important to answer the question. Why is ductwork even necessary? If you think about the most basic form of heating throughout history, namely some sort of fireplace, you usually have to be close to it in order to enjoy the heat. (Fireplaces can actually make other parts of the house colder by sucking warm air out and up the chimney.) Because proximity is everything when it comes to basic heating methods, ductwork is needed to move that heated air (or cooled air) to other parts of the house. 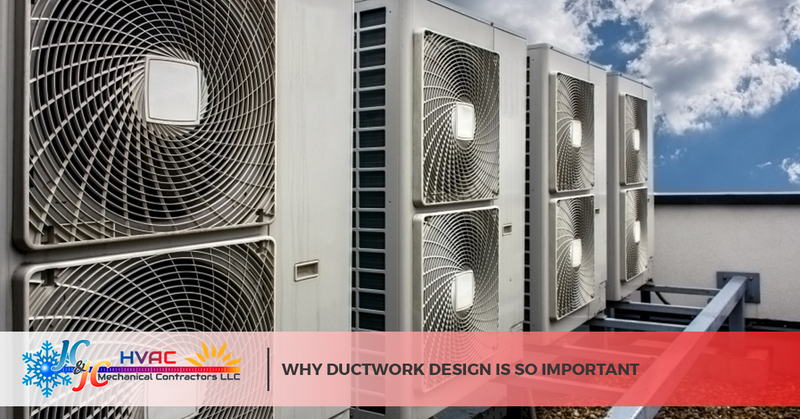 First of all, the ductwork design can simply not be as efficient as it should be. Every building is different, with varying amounts of wall space, odd turns that ducts need to take, and requirements based on the type of building. Frequent air loss (such as garage doors in a warehouse) or the amount of heat able to be gained from other sources (such as south-facing windows) can also play a part. Failing to consider any of these can make a system much less efficient. After the ductwork is installed, that’s not the end of things. Some ducts get damaged over the years, especially those that are exposed in a commercial space. Others might become leaky as a building settles and twists the ducts, pressing the joints together or pulling them apart. Still others might become obstructed by dust, dirt, and debris. Why Can Duct Installation Go Wrong? There are two major reasons that ductwork installation can make your heating and air conditioning less efficient. First of all, it’s possible that your home or office was installed by a less-than-experienced contractor. There’s so much that goes into duct design and installation that most people never even think about, so it’s best to have a specialist take care of your ductwork. Another problem that occurs is simple greed. Far too many contractors will skimp on materials when building a home. They won’t think about what’s most efficient; they’ll focus on doing the least amount of work (and using the fewest materials) to just barely get the job done. That means vents that aren’t always in the most efficient location in a room. Reviewing your ductwork design can tell you whether or not you could get better performance from your home’s HVAC. Was Your Building Built Before Computer-Aided HVAC Duct Design? Computers have helped make ductwork design more efficient across the board. While the materials haven’t changed that much over the years, the shape of them has. Computer-aided engineering has improved the shape of ducts in order to decrease turbulence within the ducts. This lessens the amount of time air spends in the ducts, keeping it the temperature you desire. It also means that the furnace doesn’t have to work as hard in order to get the air to the designed location. But it’s not just the ducts themselves that have benefited from computers. Computer software can determine the most efficient course for ductwork to take. After all, air has weight and moving it takes force; finding the most efficient way to do so saves you money. If your building was built before computers started finding the most efficient path, you might want to investigate new HVAC design when you remodel. You’ll not only be able to benefit from upgraded (and more airtight) materials, but also from computer-assisted design that uses high-end math to make the most of your HVAC system. It’s not just the replaced ducts themselves that can improve the efficiency of your home’s heating and air. The insulation around the ducts can keep the air the temperature you want it to be between the time it leaves the furnace or air conditioner and when it exits the vents. 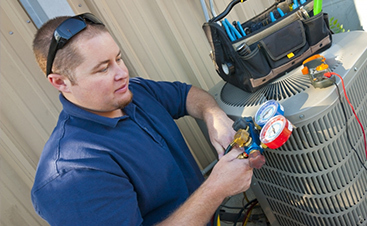 Unfortunately, inadequate or damaged insulation could significantly reduce the efficiency of your HVAC unit. Some houses weren’t built with enough in the first place, while other insulation gets wet and compacted, losing is heat-retention qualities. We can give our opinions on your insulation situation as well. Did You Upgrade Your Furnace? In most cases, the furnace you have in your home was often chosen to go along with the size of your ductwork. When a furnace reaches the end of its usable life and it’s time for new furnace installation, many people who have had problems heating the entire house evenly will choose one that’s more powerful (and the salesman might not discourage them if they’re buying something more expensive). But simply forcing more air through the same vents won’t guarantee that an HVAC system is being more efficient. In fact, an improper number of return-air vents can cause unequal pressure in the house and compromise your thermal envelope. If you’re upgrading with new furnace installation, that’s great! A new furnace is a great way to increase your energy efficiency, saving money and the environment at the same time. Just know that you might need some altered ductwork at the same time. At the very least, you should have it analyzed by a professional. Well-designed HVAC ductwork can go a long way to helping you make the most of your home’s or office’s heating and air conditioning system. In the long run, hiring the right ductwork design contractor now could end up saving your an exponential amount of money in the future. 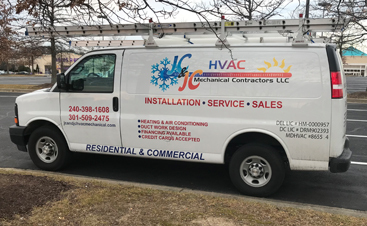 If you’re building or remodeling a house, JC & JC HVAC Mechanical Contractors would love to take a look at the job to see just how we could help you make your system as efficient as possible. Contact us today to find out what we can do for you!